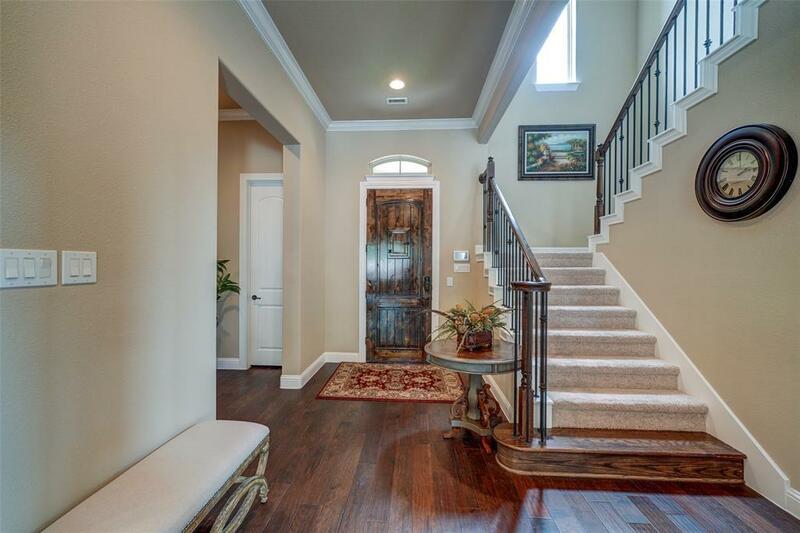 Don't miss this stunning custom home with three car garage in an exclusive gated community! 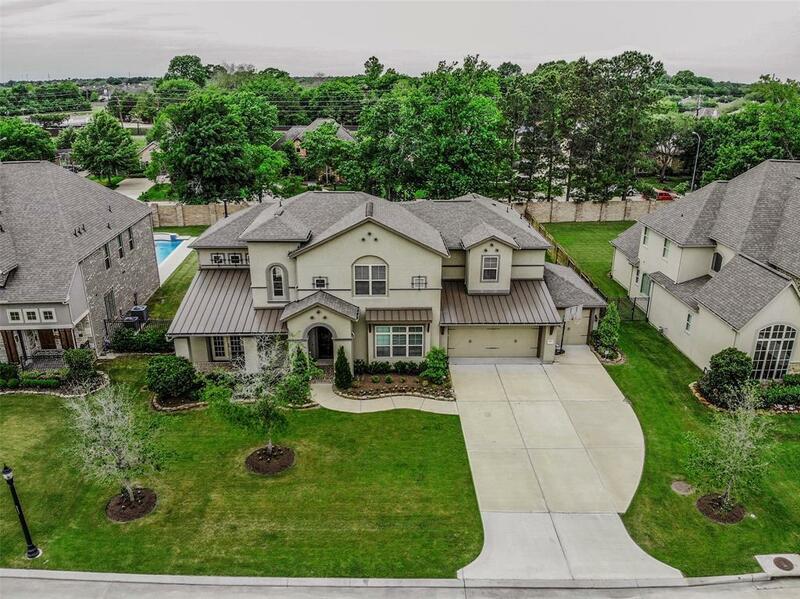 This home is made for entertaining with open floor plan, wine room, media room, game room, and large covered patio with outdoor fireplace that looks out to a sparkling pool! 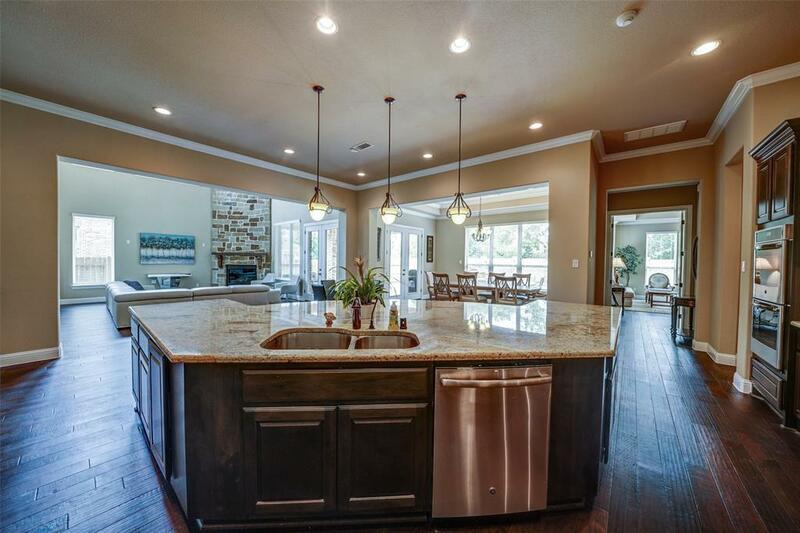 Indulge in the gorgeous open island kitchen with granite counters, stainless steel appliances, breakfast bar and generous storage! 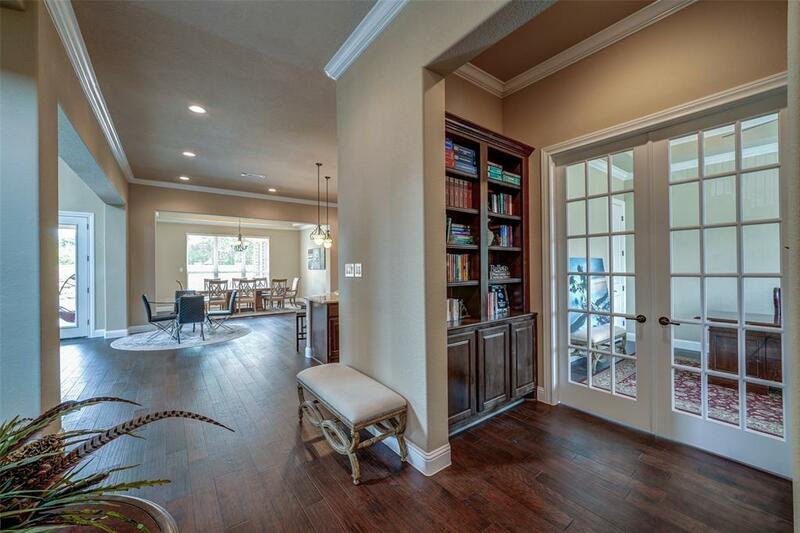 Great room wows with high ceiling, dramatic stone fireplace, and stunning hand scraped wood flooring. Master suite is complete with roomy bedroom, private master bath with custom shower and soaker tub, and extensive master closet for a peaceful, private, at-home retreat. Formal study and upstairs study nook provide home office, student workspace or crafting area. Huge back yard accommodates pool, spacious patio area, and expansive lawn for children or pets to enjoy. Make an appointment to experience this treasure today! Listing courtesy of Angelina Keck Properties.